We are all set for an exciting outing tomorrow (22nd July 2018). Here are a list of things we all should know. 1. Update the signup sheet: Due to unavailability of a shelter we have moved our program from 21st July to 22nd July. We hope that everyone will join us. But if for some unavoidable reason you can not join, please update the signup sheet by deleting the corresponding rows. Here is the link. 2. Ride: We cordially encourage everyone to manage their own ride. If you can not manage your ride please contact with me (email me at ferdous.csebuet@gmail.com) as early as possible. 3. Entry fee: There is a $7 fee per vehicle to enter into the park. BDSA will not cover this fee. 4. Time and period of stay: Since we are not providing or coordinating ride, we do not set a time limit on arriving at dunes and leaving out from there. But we strongly recommend everyone to arrive early at least before lunch. 5. Place: We have rented the City West Shelter-001, Indiana Dunes State Park. The beach is 5 minutes walk from the shelter. 6. Lunch: Lunch will be served at 1.00 PM. We will serve the lunch in the shelter. So we strongly encourage everyone to arrive before that. 7. Weather: Please check weather before getting out. 8. Safety: Safety is always the first priority. See the safety issues about swimming in lake Michigan here. 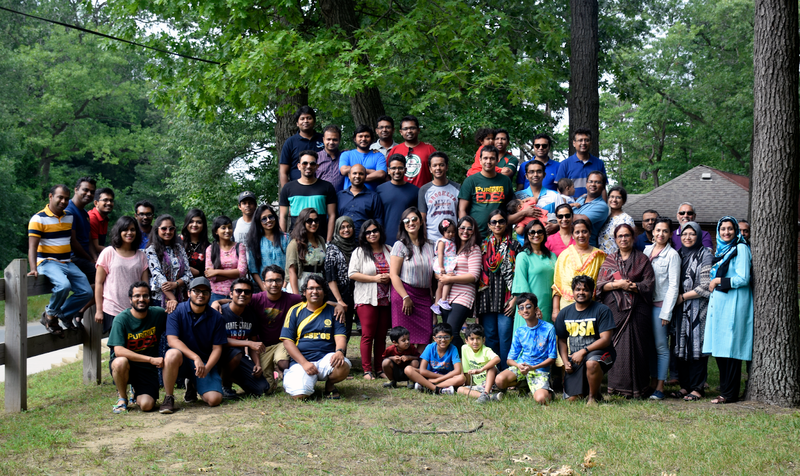 Thank you for coming out to BDSA outing at the Indiana Dunes State Park. 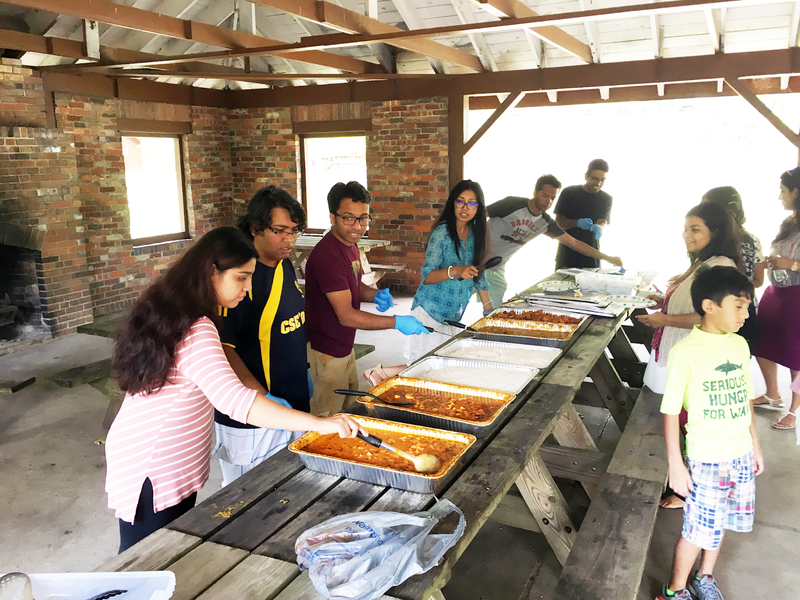 Hopefully, everyone enjoyed the beautiful weather, amazing beach area and some good Indian cuisine for lunch. This event was made successful by great efforts by all our new committee members and definitely all the amazing BDSA members who participated and made the day more enjoyable by their company. Attached is the group picture after lunch at the shelter beside the dunes and a snap from volleyball. Get ready for BDSA cricket tournament coming up this Saturday morning the 28th morning. Keep an eye out for the update email from our sports secretary.